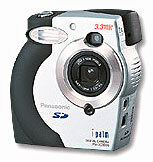 Do not take any further digital pictures using the card or use any software which may write to the memory card. 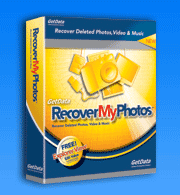 Recover My Photos will not alter the contents of your memory card in its search to undelete photos. Recover My Photos will operate on Windows 98/ME/NT/2000/XP/2003/Vista. To perform a recovery we recommend Recover My Photos be installed on a PC with a minimum of 128MB of RAM. It will recover JPEG, TIF, PNG, CRW, RAW format photos and MOV, MPEG, AVI videos from smart media, compact flash, Memory Sticks, Microdrives or virtually any removable storage device. The download from our website is fully functional except for the ability to save the digital photo recovery results. The recovery software works on a "what you see is what you get" principle. If you can see the deleted pictures using the download version then they can be saved once Recover My Photos is registered. Please first use the download to determine if lost picture recovery is possible. If you cannot find the lost pictures then registering the program will not help you.